During the 2017 USPC Equine Symposium and Convention held January 26-29 in Los Angeles, California, four individuals were awarded the Founders’ Award, an honor reserved for Pony Club’s most worthy volunteers. This prestigious award is made each year to those who have made a significant contribution to Pony Club at the Local or Regional and National Levels over a period of 20 years or more. The recipients of the Founders Awards for 2017 are: Jan Jenson, Alex Weiss, Shelley Kincaid, and Claire Harmon. Jan Jenson. 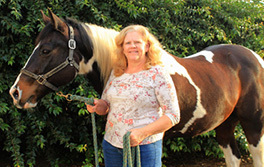 Jan joined Santa Cruz County Pony Club in 1974 with a leased horse “Charlie”. Her sister was in Pony Club so she “tagged along” for two years prior to joining. In 1975 her parents purchased a 6 year old Appaloosa, named Arrow, for $600.00. 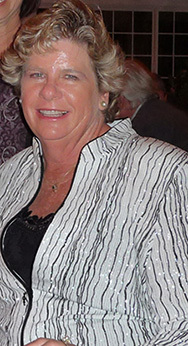 She competed with Arrow in the 1978 Regional Combined Training Rally in California and the team won the bronze medal. Jan achieved her C-3 certification on Arrow as well. Arrow was ridden by many younger PC members and lived to be 38 years old. Jan became a working student for Hermann Friedlander who Santa Cruz Pony Club in 1956. Santa Cruz County Pony Club celebrated its 60th Anniversary in 2016 and is the oldest club west of Chicago. In 1982 Jan was awarded the Reserve State Champion, California State Horsemen’s Association Horsemastership Award. She earned her B certification in 1983 on an ex-race horse that needed rehabilitating and training. She continued volunteering after graduating from Pony Club as an instructor, C-3 level examiner and Regional HMO from 1983-1998, Chief HM Judge 1990-1998, National HM Committee member and Co-Chair 1993-1997, and Club Treasurer 1994-1997. While being regional HMO and on the national HM Committee she recruited new regional HM judges and implemented the Apprentice Chief HM Judge Training Program. This program helped to standardize the HM expectations and judging throughout the country. Jan still works with Los Altos Hunt to maintain the traditions of Pony Club and encourage PC members to participate. PC members have represented Los Altos Hunt at International Foxhunting Exchanges as well. She also supports USPC Tetrathlon sport by hosting trainings and judging the riding phase at rallies. Jan feels that the skills she learned in Pony Club, both as a member and instructor has helped her job and volunteer service. Jan is currently working for Gilroy Unified School District as a Personnel Technician. She was a cattle and horse ranch caretaker for 17 years and has organized local equine evacuation and large animal rescue programs. She advises the Fire Safe Council for pet and livestock evacuation plans and provides preparation training for the community. One of the coolest things Jan does is she participates in the Death Valley 49ers reenactment of covered wagons, a 50-100 mile ride over 5-7 days. This route follows the same route her Great-Great Grandfather took in 1849 with oxen and a wagon. Alex Weiss. Alexandra, or “Alex,” has been around horses since she was a toddler. Her first memory is riding Snow Ball at the Bridlespur Hunt Horse Show’s lead line class. While hanging around Otis Brown Stables as a teenager, Alex handled many of the racehorses, ponied a few, and worked 12 hour days during college breaks for extra spending money. The family volunteer ethic was evident at a young age as Alex was jump crew at Bridlespur Pony Club shows and helped her parents with hunt club activities on a regular basis. While in high school, Alex worked for a camp conditioning horses. During this time, she also got into barrel racing. “Those barrels were actual oil drums and hurt when you hit one.” However, Pony Club remained Alex’s organization of choice for participating in competitions, with Know-Down (now Quiz) and Games being her favorites. Outside of Pony Club, Alex earned her Basseting Colors with the Bridlespur Hunt. She was an active whip for both Bridlespur and Three Creek Hunts through graduate school. Although she did not fox hunt on a regular basis, she was present when quarry was caught and participated in the associated traditions. Alex credits her parents’ example of volunteerism in the equestrian community and their active involvement in land conservation as the inspiration and driving force behind her love, commitment and dedication to Pony Club and career choice of working with public land management agencies. Alex has touched nearly every aspect of Pony Club, here are a few highlights of her involvement over the years: organizer/secretary for multiple regional rallies and disciplines at Championships; regional Quiz coordinator and coach; coordinated certifications at the local and regional levels as VRS, Regional Secretary, DC and Club Treasurer; coordinated polo clinics, camps, meetings, and numerous mounted/unmounted activities both at the club and regional levels. Alex was ecstatic when her daughter, Ginny, became involved in Pony Club. A great opportunity to be around her daughter, and horses! Shelley Kincaid. For 30 years, Shelley Kincaid has been an integral part of the development and success of Pony Club in Southern California. She was one of the first, if not the first, instructor to base her instruction on the Pony Club curriculum. 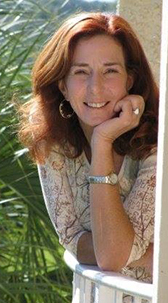 Shelley developed the instruction programs at numerous pony clubs including Rainbow of The Foothills, Poway Valley, San Vincente, San Dieguito and Fallbrook Riders. She has organized rallies, coached many Championship teams, ran Pony Club camps and instructed literally hundreds of Pony Club members, many of which have achieved success at National Certifications. She has trained many students to the H-A/A level in the state of California. Shelley instills in her students a great sense of commitment and the importance of giving back. Many of her former students now serve in leadership positions in Pony Club through Instruction, the National Testing program, RIC, DC and RS positions. Shelly has served the Southern California Region in the capacity of RIC, advisor to the Regional Board, assistance with test administration, regionals camps, preps, Standards and Certifications clinics, Instructor clinics, and lower-level examiner training. For years she has been an invaluable resource to many RSs and was one of the initial proponents and representatives of the development of Riding Centers in Southern California. In addition, Shelley assists neighboring regions like Camino Real, Middle California, and Sierra Pacific with preps, camps, and other regional activities. 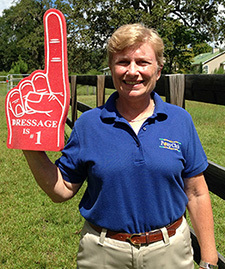 Her commitment to Pony Club has been both tireless and steadfast for 30 years. In addition to being a great instructor, Shelley has been an even better mentor to countless Pony Club members, as well as other budding young equestrian professionals. She has trained many future Trainers that are currently successful professional riders competing at the highest levels of Dressage and Eventing. Shelley is a caring person to the people around and the animals in her care. She “practices what she preaches” when it comes to Horse Management and sets an exceptional example to both Pony Club and the equestrian community at large. Claire Harmon. Claire was a 1976 graduate of Ithaca College. She was an avid equestrian and longtime member of the United States Pony Clubs where she was an “A” graduate from Bridlewild Pony Club in the Eastern Pennsylvania Region. Furthering her Pony Club activities she was a sought after National Examiner, was an active Board of Governors member, and served on many committees. Most recently Claire served as Vice President of Instruction. She travelled widely, and touched the lives of many students and members with her expertise, tenacity, and positive attitude. Claire lived her life with a deep abiding faith in God. She was a woman of style and grace.